The fact that you clicked on this article tells me two things: 1) that you’re pretty keen to have your skin tended to by a professional, and 2) that you downright deserve it! 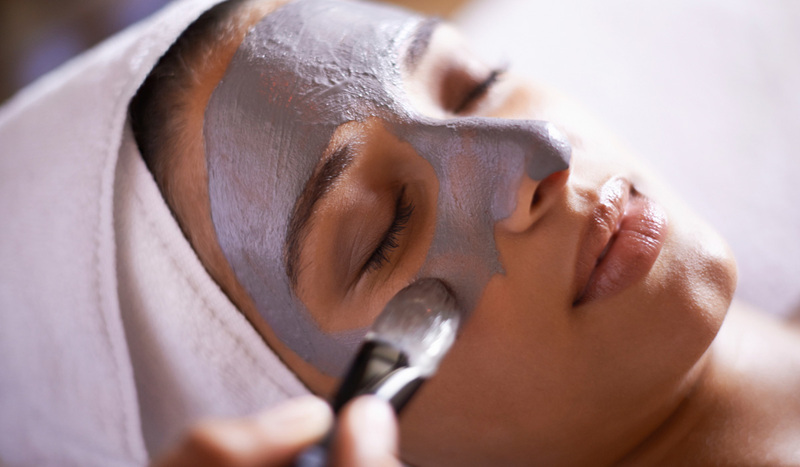 So pour yourself a cuppa, sit back, and navigate through our list of the latest and greatest in-salon skin care treatments. Find your fave, pick up the phone and make an appointment. Go on, #treatyoself. If a luminous complexion and even skin tone are at the top of your wish list, make an appointment for the Dermalogica BioSurface Peel ASAP. It’s not your regular chemical peel – it requires absolutely no downtime, so you can forget about having to take time off work or spend the weekend holed up indoors! For best results, Dermalogica recommends having a course of four to six treatments. Treatments can be performed on a weekly basis. $185 for one hour (includes the BioSurface Peel three-day aftercare kit, valued at $26.50) or $925 for a course of six treatments. For more information, visit www.dermalogica.com.au. If you live in Melbourne (or are planning a trip) and your skin could do with a little tune-up, book in for this anti-ageing facial at the Botanica Day Spa. The face and eye treatment helps to instantly firm, rejuvenate and plump skin while helping to reduce dark circles. The therapist will use a massage technique with Elemis products and a two-phase amino active mask to leave you with smoother, more radiant skin. Yes, please! For more information, visit www.botanicadayspa.com.au. When your skin feels and looks congested, it’s probably harbouring a whole lot of pore-clogging grime, meaning your skin care products can’t penetrate properly. Clear the congestion and boost your complexion with the Thalgo iBeauty treatment. It involves a therapist doing a peel to cleanse and exfoliate, followed by a pressure massage on the face to promote tissue drainage. A machine then infuses hydrating products into the skin, and then uses radio frequency to smooth and plump lines and lift facial contours. For more information, visit www.thalgo.com.au. Melbourne-based salon Shine, Skin & Body offers extraction therapy that – you guessed it – works to rid your skin of congestion. Whether you constantly suffer from breakouts or your skin is currently riddled with blackheads, this treatment is a sure-fire way to treat and extract them safely and hygienically. For more information, visit www.shineskinandbody.com.au. This luxurious anti-ageing facial helps to give your skin cells a boost and renew and refresh your complexion for instantly younger-looking skin. It involves using BABOR’s Re-Youth Complex to reboot the skin’s anti-ageing mechanisms, smooth out fine lines and wrinkles, and give the skin a much-needed boost of radiance. For more information, visit www.babor.com.au. What are your favourite skin care treatments? Which of these would you like to try most? The last one sounds amazing to me. I haven't had a spa or treatment in a longest time. I love a good facial, and these sound fantastic. I would love to try the Dermalogica or Elemis facial, how luxurious. I usually just pamper myself with an at home facial. Thalgo ibeauty I like the rest here nah I'll pass. While reading this I remembered I was given a voucher for my local Thalgo Spa for Christmas. So I am now going to book myself in for an Anti-Ageing Peel. I'd love to try a facial treatment for my acne. Oh we can only dream hey ladies!!! They all sound Devine but I can't justify sending so much! The babor is reasonbily priced but I wouldn't pay the other prices. hm, just saw that I did Elemis one! But not the peel, microderm. one and with Elemis skincare....was so good. Now want a peel. Did one recently in a clinic, but was too weak. In desperate need of a relaxing day! Id love it but chancing that much on something I don't know would work or not puts me off, if they had discounts or trials I would. Sounds amazing but too pricey! This is really handy to know in case I ever splurge on going to the spa! I would love any of these treatments! A bit too expensive - I prefer to put on a mask at home and do other things, multi-tasking FTW!